"At UT Martin, we want you to discover who you want to be, what you want to achieve and where you want to go." The University of Tennessee at Martin can open for you a new world of exploration and discovery. At UT Martin, you’ll find the people, resources and support you need to start your path toward earning or completing your college degree. Thanks to our dedicated faculty members and high-quality academics, you’ll have opportunities to reach your maximum potential. UT Martin provides high-quality academics through a diverse variety of courses, degree programs and opportunities for hands-on experiences to help prepare you for your career. 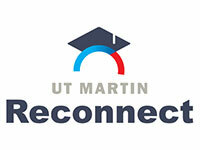 Backed by the strength of the UT System, UT Martin is student-focused and dedicated to seeing you succeed. Come visit our beautiful main campus or any of our extended-campus centers that are located in Jackson, Parsons, Ripley, Selmer, or Somerville and learn how exciting and special it is to become a Skyhawk! We also invite you to check out our online programs if your schedule requires more flexibility. Ready to become a Skyhawk? Find out how. Plan a visit or a campus tour through the Office of Admissions. View a map of our campus and look up directions.